Our most popular and elegant collection of triangular shawls. Luxuriously soft and can be made for both summer or winter wear. 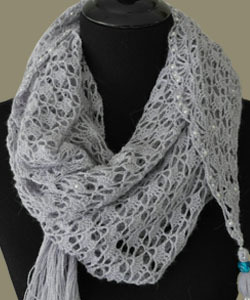 Handmade using alpaca yarn, each shawl is a unique piece, adding grace and elegance to any outfit. Each can be embellished as per your desire, using lace, swarovski crystals, fur, etc..